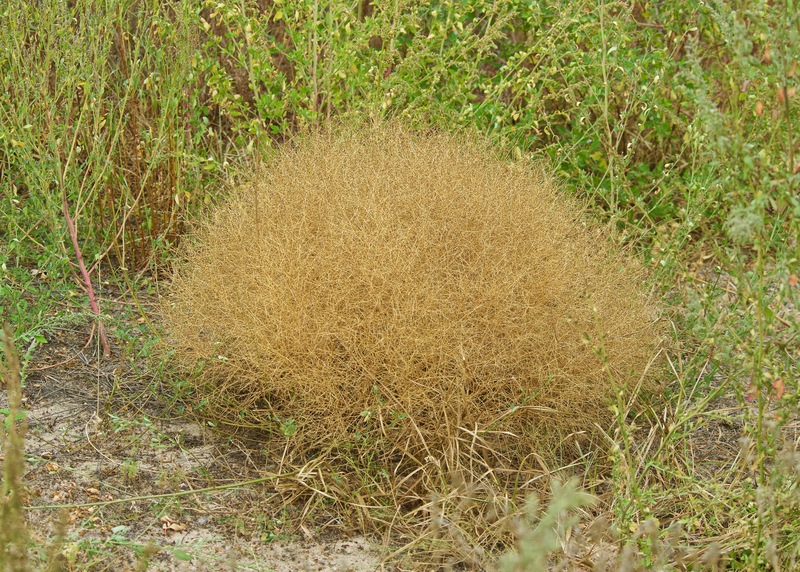 The Tumbleweed. 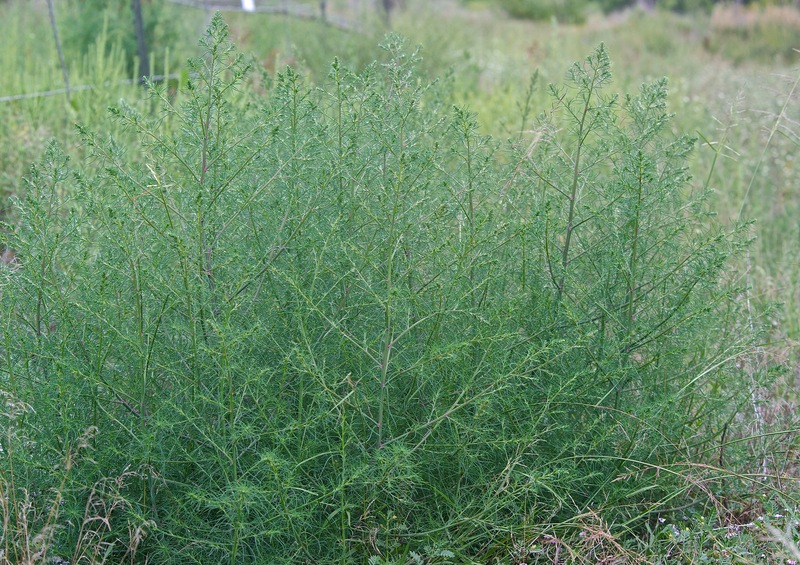 An introduced plant. 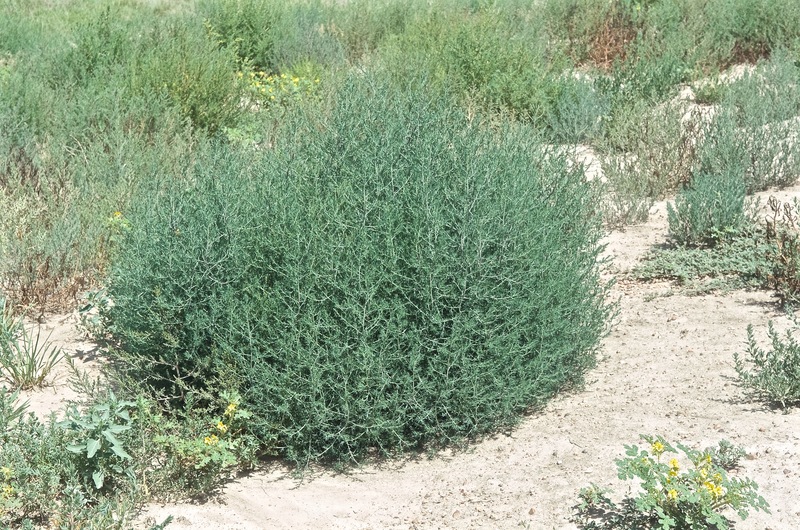 Many, many plants look like it and tumble along with it before the wind. 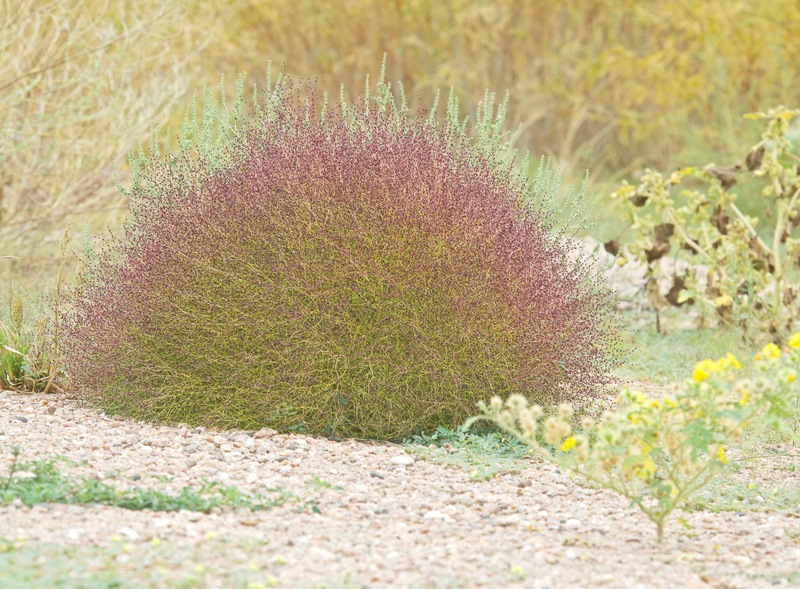 A Tumble Pigweed (Amaranthus albus)? Usually found on disturbed areas on the prairie but also occurring in dry river channels after floods. They can range in color from green to red.